When you have just stepped off the aircraft, made your way through passport control and collected your baggage, count on Simply Shuttles to be there to greet you! What could be better than seeing one of our professional drivers, holding a sign with your name on it and ready to whisk you away in comfort and style to your hotel, villa or apartment. Our Costa del Sol airport transfers are the perfect way to get your holiday off to a stress free start. With many year’s experience, thousands of airport transfers and millions of kilometres under our belt, we know the Costa del Sol like the back of our hand. Our private door to door transfer services will safely deliver you to your chosen destination. Leave it to our professional drivers to get you to your hotel or accommodation swiftly and without any stress or strain. Use our above online form to quickly and easily obtain a quote and complete your airport transfer reservation. Malaga airport is the main international airport serving the Costa del Sol and by far Andalucia’s busiest with over 18 million passengers coming through it each year. It connects twenty cities in Spain and over one hundred European destinations making the Costa del Sol as accessible as it is beautiful. With modern highway infrastructure a Malaga airport transfer will get you to many of the coast’s hotspots such as Marbella and Puerto Banus within 45 minutes. Gibraltar Airport is a small international airport situated on the tiny peninsular of Gibraltar, just off the Costa del Sol. Despite its size, over 60,000 passengers per month pass through Gibraltar airport via routes from many UK and selected European airports. Visitors to the Western Costa del Sol choose to fly into Gibraltar Airport benefiting from short Gibraltar airport transfers to areas such as Sotogrande, Estepona and Duquesa. 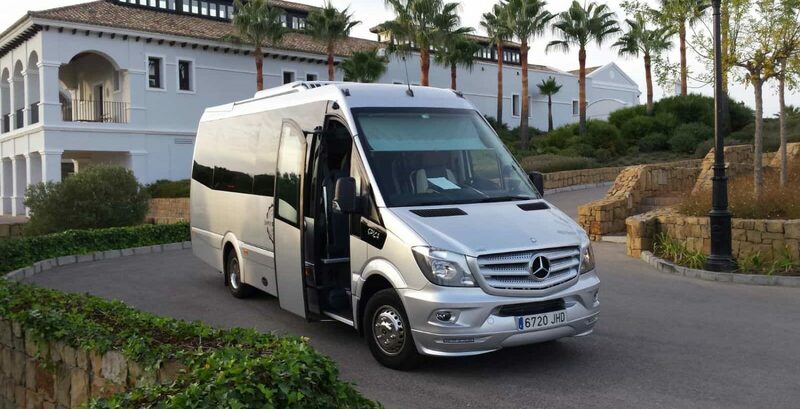 Why choose Simply Shuttles for your Costa del Sol Airport Transfers? Airport Transfers matter because they are how you start and finish your holiday and can make a huge difference to your experience. When you arrive at the airport you often feel tired and stressed from the journey, so there shouldn’t be any uncertainty or waiting around. That’s why we take punctuality and reliability so seriously! If you book direct with Simply Shuttles you can book with confidence! We are the Costa del Sol’s most trusted transfer company and our reviews on sites such as TripAdvisor and TrustPilot are testament to this. We is constantly striving for excellent customer service and the best possible customer experience. Our dedicated team of admin and support staff are available seven days a week, so you can be assured that there is always someone available to answer your query. Our team of professional drivers will always be well briefed with all the details of your booking to take care of you and your needs. All you have to do is sit back and enjoy the ride! Don’t leave anything to chance, book your airport transfer with Simply Shuttles and have the best experience. Fill out the form at the top of this page for an instant quote. We offer a very easy online booking system where everything can be done with just a few clicks. Start off by filling in our form at the top of this page and you will get an instant quote. This price is all inclusive and there are no hidden extras, so there are no nasty surprises! To complete your online booking, simply fill in the form with your name, email address and phone number. After this we only require your arrival and departure flight details plus your destination address to finalise your booking. Upon sending your request you will receive an email with the details. We will then begin to process your booking and send you the final confirmation within 1 to 2 business hours. The booking confirmation will include all the details of the booking, where to meet your driver and a payment link. Everything is very clear, secure and easy. Our friendly English speaking team are always at the end of the phone to answer any queries you may have. We pride ourselves on being flexible, open and honest, and help you in any way we can. All of our team is dedicated to offering you the best possible service. When you book with Simply Shuttles you are booking direct with no third parties.